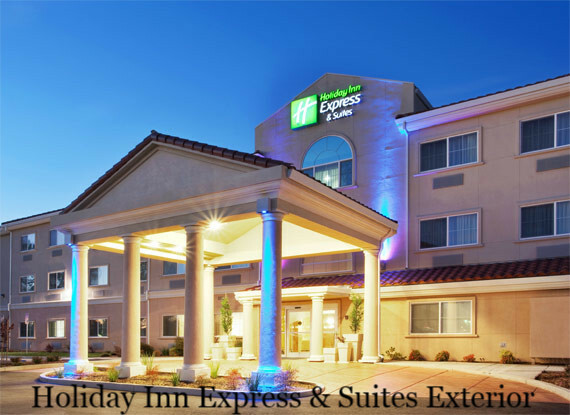 Welcome to Holiday Inn Express Hotel & Suites, the newest hotel in Lake Oroville CA. Experience our hotel's boutique amenities, central location and friendly service. Our custom designed interiors and ambiance accentuate your stay in the California Gold Rush County. Whether traveling for business or leisure, Holiday Inn Express Hotel & Suites of Lake Oroville is just minutes away from recreational lakes, Oroville Dam, Mission Olive Region, The Chinese Temple, Feather River Casino gaming, award-winning wineries, scenic golf courses, unique shopping, irresistible dining and more. Hotel amenities include a complimentary hot breakfast bar, indoor heated pool and whirlpool spa, fitness center, business center, conference and meeting room, complimentary Wi-Fi and wired Internet, ergonomic executive desk chairs, flat screen plasma televisions, granite showers with Smart Showerhead by Kohler, and an on-site guest laundry facility.